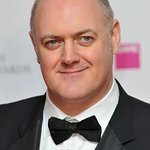 Dara O’Briain is an Irish stand-up comedian and television presenter. On March 12, 2011, Dara set a new Guinness World Records title with Jack Whitehall and Jon Richardson for hosting the ‘Highest stand up comedy gig in the world’, on a British Airways flight in support of Comic Relief. Google trends for "Dara O'Briain"
We don't have any videos related to Dara O'Briain.